It's Sew Mama Sew Giveaway Day!!!!! Welcome to all my visitors old and new. I know you have lots of giveaways to get to so we will make this quick. Up for grabs, a Freebird Charm Pack by MoMo !!!! Don't you just love these prints!!!! Thanks for visiting!! Ya all come back now, ya hear!!! Good morning! Such happy fabrics! I hope you get lots of new visitors (I am a follower). thanks for taking part in a world wide event! And have a Happy time Quilting! Hi Melissa! I touched some Freebird at my LQS last week...beautiful! I'm already your follower. Wow.. I love those colors. Thanks for sharing with us :) I am an avid follower. Have a great week!! I love Free Bird, I have a layer cake just waiting to be sewn and I would love a charm pack to go with it. Thanks for the great giveaway! What beautiful fabrics. Please include me. Thank you. I'm already a follower. Thanks so much. GRrreat fabrics! I am already a ffollower, and I would not miss your posts. Cute fabric, thanks for a chance at winning some. Hope you're having a great day! Very cute charm pack. Thanks for the chance to win! Happy Monday! Have a beautiful day... Thanks for the chance to win. Beautiful fabrics - I'd love to welcome them to my house! Thank you. I haven't seen these fabrics yet, so of course I would love for them to come to my house! I follow! :) And I alse *love* Momo fabrics--beautiful! I am a follower. Thanks for the chance to win your giveaway. Great choice of fabrics. I'm a follower and I love Freebird! I am a follower and would enjoy that fabric line!! Love that fabric! I follow your blog. I would do anything for momo. So yep, followed. Freebird is one of my favorite lines!! I am a follower already! :) Happy giveaway day!! Great fabric giveaway! Would love to win! I am a follower! I love your blog! You are very inspiring! Thanks for the chance to win this beautiful fabric! It looks yummy! Wonderful line of fabric! Thanks for the opportunity to enter your giveaway!! Gorgeous fabric and I follow you! Freebird is one of my new favorite lines of fabric. I have been a follower for awhile now. Thanks for the giveaway. What could be better than winning fabric? And such lovely fabric you're featuring too! Thanks for the giveaway!!!! I love this charm pack! I am a follower. Freebird is my fave Moda collection. I've used it loads but always happy to use it again!! Love the blog by the way. yum...what to quilt with this darling charm pack?! Thanks! Thanks for a chance to win! What a charming.. charm pack! Cute fabric. I could use another charm pack. I am a follower. Yay! I'm a follower of course. I love that Freebird fabric! love charm packs. I follow. I'm a follower, thanks for the opportunity! I'm a follower and new to quilting. I just love the Freebird fabric! That looks like such fun fabric. Thanks. I love Freebird! My favorite is the big dots. Yippee Skippee! I was going to sew all day today but I think I'll spend the day following all the blogs for Sew Mama Sew giveaway. Besides, it's raining again so no gardening. Yummy fabrics. Thanks for the chance to win. What a wonderful Monday! I'm already a follower. Thanks for the giveaway! Thats an adorable line! I havent used it yet, but would put it to great use. How sweet! I love the name too! Thanks for the chance. I am a follower too! Thanks so much for the giveaway! I LOVE that fabric! I follow you too. I love this line. I made a quilt for my SIL from Freebird when she got married, it was hard to give away! I just love Momo fabrics! Love Freebird! Thanks for a fab giveaway. And I am a follower. Asking a quilter to mend is like asking Picasso to paint your garage. Have a great Give-away day! I love the browns and oranges. Oh, what a lovely charm pack! Thanks for the chance to win! I love every Momo fabric that comes out! I especially like that you can pretty much mix and match the lines. Anything 'bird' is great (and love MoMo) - already a follower. I've been following you for a while, keep up the awesome blogging! Thanks for the opportunity to win! I am already a follower. Happy Victoria Day to all in Canada! There,I didn't say I am already a follower (oops!). I love this line from Moda...thanks for the chance to win some. I'm a faithful follower! Thanks for participating in the giveaway! I already follow your blog -- and visit often as enjoy reading it and seeing your photos! I love that fabric, and charm packs are my favorite precut! I'd sure love to win this one! I'm a follower. I love tacos! Mouth-watering prints. Love the fabric. This fabric is lovely ! Haven't seen this line before. Super cute! I usually follow a blog with the RSS icon in url bar of my browser. I hope other blogs I've followed today know that I actually joined them and not just said I did in the comments... Thanks for the direction. Oh.. I really need a fabric to make a quilt for my kid's birthday, my daughter want a quilt and my son too...Thanks for a chance and I'm a follower. I'm already a follower! Beautiful fabric! Thanks for the giveaway. Thank you for the chance to win this lovely fabric. I know! I'm over that comment as well. Thank you for sharing your fabulous, creative, and amazing talent with all of us. You are such an inspiration! Following! Can't wait to come back for an extended stay!! I'm loving that fabric. And who doesn't love a charm pack?! I'd sure love to win this one! Following your blog now! Love this giveaway! I am a follower -- thanks for the give away. I am almost done quilting the king size happy quilt-a-long pattern. I'm still amazed at how big it is. Thanks for the chance! Thanks for the great giveaway. I am a new follower! That fabric looks super! I just found your blog and added you to my google reader list. Thanks for the chance at the giveaway. Nice! Thanks! Have a super-duper day. Oh what a pretty yummies!!! I'm yr follower already, tks fr the chance! I am a proud follower! Thank you for the giveaway. Love the happy colors and the dots from this line are so perfect! Have fun reading all the comments! I love charm packs, wish all the fabric manufactures would make them. I am a follower. Bright, fun fabrics indeed! Would be a fun win! I want to quilt like a Free Bird! I'm a follower. I receive your updates in my email. I am a follower and I love Freebird! Thank you for the opportunity. How beautiful! I love that fabric. And you know I'm a follower, since you watched me push that little button. I am already a follower! Thanks for the chance to win this fun fabric. I just became a follower last week; nice giveaway! I have a newbie sewer question: do you wash charm pack fabric before you use it? Not only am I a follower, but I've even got you in my tool bar for easy access! Thanks for all you do & share! Awesome blog! this sms is great! I've found new websites (yours included) that I didn't know about! I'm a follower. Thanks for participating in the giveaway day. followed you. but also loving this freebird fabric. I've been hoarding a layer cake. I can think of several moda bakeshop patterns to use this little charmer on. Thanks. I do love these prints and I am a follower!! Following........love these fabrics! Have a wonderful day! Gorgeous fabric. Thanks for sharing! I've been wanting this line...and I LOVE charm packs. Thanks for the chance! Following, thank you! Love this line! Thanks for the chance! thurbs8(at)yahoo(dot)com. I'm a new follower, thanks for the chance to win some MODA! Very cute fabrics. I haven't gotten a new charm pack to play with in quite awhile. AND I already follow your blog! well, that was a refreshing post. love the colors and patterns. 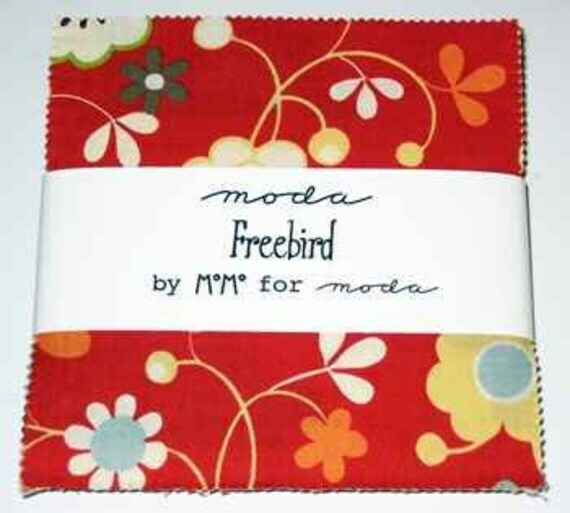 I have a quilty friend who is a Freebird junkie! Those are great fabrics- so nice and cheery! Been following you for a few weeks now. Love this blog! I'm a follower!! Love the fabric!! OMGosh Melissa... I love charm packs, and this one is "Very" charming..
Love that fabric so much!! Thanks for the awesome giveaway. Happy giveaway day and I am now a follower! I could have some quilting fun with these! I'm already imagining them in a quilt. I do get ahead of myself. 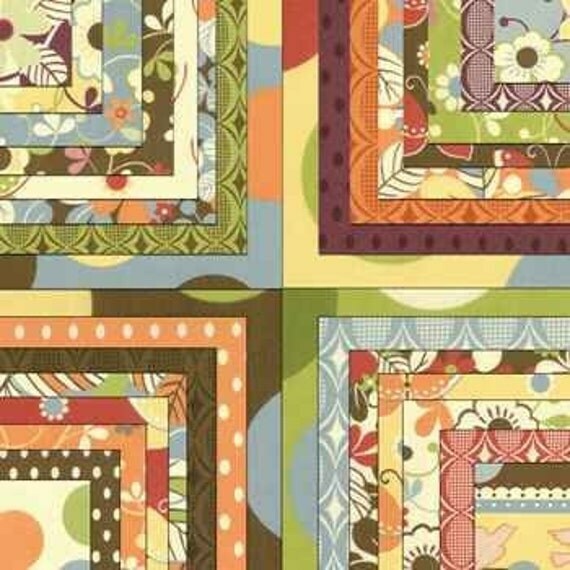 I love this fabric line - I have some to make a quilt but another charm pack would be great! Thanks for the chance to win. I signed up to follow you! Love charm packs and this is a real cutie!! Love reading your blog!! I am now a follower! I love Momo's fabrics, they are so gorgeous! Fabric eye candy overload! Thank you for the giveaway! I love this give away that sew mama sew is putting on because I enjoy seeing who is from Indiana too! Love quilting and appreciate your giveaway! I'll be back to check out your awesome tutorials! oh those colours and prints are gorgeous! I always enjoy your blog, thanks for all the inspiration! I am a humble follower and I would love to win a charm pack of Freebird. Thank you for the giveaway. I am already a follower, but for some reason did not realize that you live in South Bend. I lived there in the late 1960's, and two of my children were born in Mishawaka....small world! I'm a follower AND a Moda Freebird fan. Oh, what I can make with a charm pack. Thanks for the giveaway. Your blog is wonderful. IT'S MY BIRTHDAY TODAY!!! (Old people can get away with doing such brazen things...at least that's one good thing about turning... (oh I hate this number...hard to say it out loud, so I will close my eyes as I type this) 60. And I do LOVE the happy prints of Freebird collection. Hi! I am a follower. (that does sound kind of zombie like, doesn't it?). But, I do like how happy the Freebird like looks! I'm a follower of yours Melissa! Thanks for the great giveaway. I enjoy reading your blog. It's great seeing what everyone is working on. Thank you for the chance at winning this fabulous pack! I am already following, thanks so much! i do love the prints.